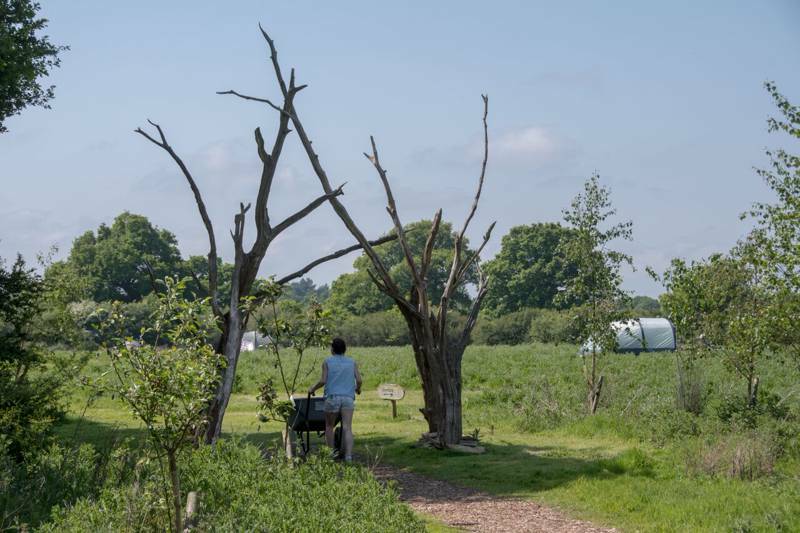 Run by the National Trust and situated on its 3,500-acre ewe-peppered Slindon Estate, Gumber Farm’s campsite and bothy are an oasis of remoteness in the crowded south-east of England. The bothy (whose excellent facilities are available to campers) is a converted 19th-century flint barn in a large clearing within an enormous deer-filled wood. 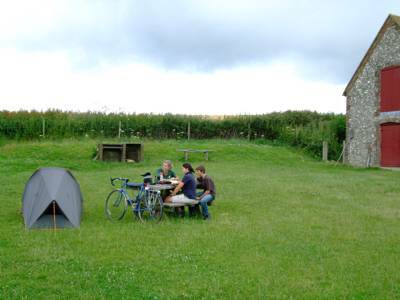 The small camping field is right outside it, as is the paddock, in which you may leave your mount should you have ridden in. The irony is that a farm so lovely – it’s surrounded by the sensuous curves of the South Downs and has been eulogised by none other than writer and historian Hilaire Belloc – is habitually used as just a brief stop-over by walkers and cyclists attempting either the South Downs Way or the Monarch’s Way, both of which run close by. Were they to linger on the estate a little longer, they could visit Bronze Age burial mounds; a Neolithic flint knapping site; a section of the arrow-straight Stane Street (built by the Romans to link London and Chichester); and a Victorian folly. In World War II, a dummy airfield was laid out here (though only ever bombed once), and air raid shelters and other bits of fakery can still be seen today. 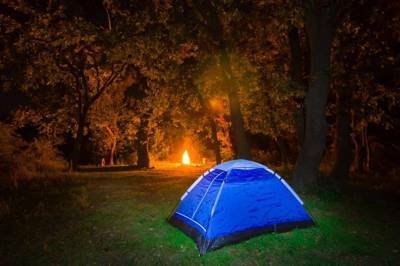 At night, the site becomes a star-gazer’s paradise, with its huge sky untroubled by earthly lights. Come the morning and the same summer sky comes alive with swallows swooping around the plucky sparrows, who make their homes alongside them in the eaves of the bothy. 35 undesignated grass pitches. No electrical hook-ups. There are 4 men's and 4 womens toilets, and 3 showers for each too. A small kitchen has an oven, kettle and washing up area. There's a drying room, bike storage shed and horse paddock. Fire pits and BBQs are available (charcoal £5/bag). Slindon village (1½ miles) is a fine example of what many Sussex villages would once have looked like, with some lovely flint and brick cottages; it also claims to be the birthplace of cricket and boasts (ahem) a famous pumpkin display. Arundel Castle (5 miles; 01903 882173) is well worth a visit. Set in a very pleasant hilltop location with 40 acres of grounds and gardens, Arundel hosts exquisite works of art, furniture, tapestries, china, sculpture, clocks and good old fashioned suits of armour. There aren't any pubs within walking distance but The George (01243 814340) in Eartham (3 miles) is a great place to head if you on't mind the short journey. Adults £12 per person, per night. Under 16s £6 per person per night. 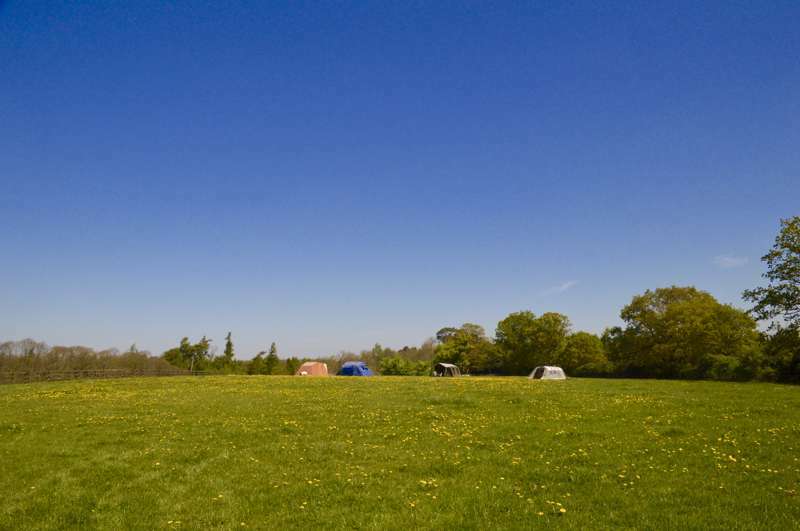 The Bothy and campsite are a 2-mile walk from the nearest car park at Bignor Hill or Northwood (grid ref SU 959098) and there is no vehicle access to the site. The campsite is signposted off the South Downs Way. OS Grid reference: SU 961118, Ordnance survey maps: Landranger 197 or Explorer OL10. The nearest train station is in Amberley 5 miles away. Services run on the London to Bognor Regis line. No onward bus route.